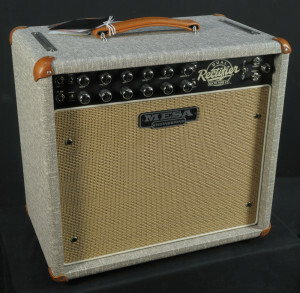 Introducing the Recto-Verb Twenty-Five 1x12 Combo, the Reverb-endowed, fraternal-twins of Mesa's little Mini Rectifier lunchbox that's been taking names all over the globe. 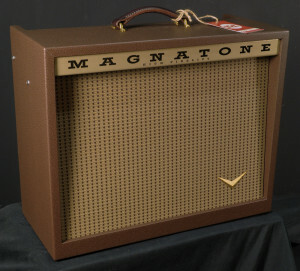 This even mightier package is slightly larger – just big enough to accommodate a 1x12 speaker and long-spring Reverb tank – and boast all the same great performance that the Mini Rec is famous for and more. Plus, their classic vinyl-covered birch cabinets provide a wide array of custom finish options to fully personalize them. their style. 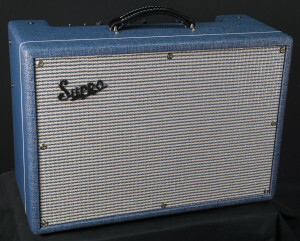 But don't fret... for those into heavier tones, the trademark Recto sounds are all here and completely authentic. 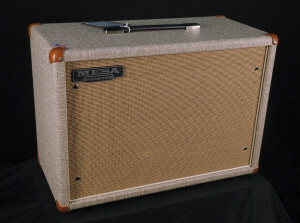 Featured here in beautiful Fawn Slub Bronco.